The ISO’ven Wood Burning Oven is the perfect addition to your Outdoor Living Spaces or to your Outdoor Kitchen. This phenomenal product, manufactured with the same high quality material as our renowned Isokern Fireplace & Chimney lines, quick fires to 700 degrees and works perfectly as your own personal Pizza Oven. We’ve also cooked rolls, steak, boneless chicken and more! Pair your new ISO’ven with an Isokern Outdoor Fireplace orIsokern Kitchen components for the perfect gathering spot for family and friends. 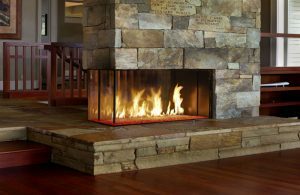 Visit our ISO’ven Wood Burning Oven Gallery for design ideas and inspiration. The ISO’ven System is available as a Table Top or you can be paired with our Optional Wood Storage / Base. Earthcore also provides an Optional Venting Hood and anAccessory Kit to get you started on planning your first event! For Recipe ideas visit our ISO’ven Recipe Album on Facebook.